The Opposition party interacted with civil servants and corporate employees in Phuentshogling on Saturday on the BBIN Agreement. Opposition leader Dr Pema Gyamtsho said, while the Opposition supported the agreement, it was also concerned about the possible challenges. “We questioned its benefits, impacts on our environment, our culture, peace and security, and we pushed for more consultations and research before finalising the deal.” He said. People present in the meeting said Bhutanese drivers could lose jobs and vehicles would remain idle. 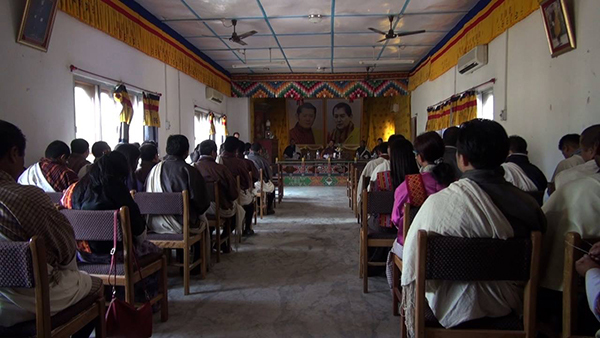 Phuentshogling Drungpa, Rabgye Tobden said Taxi and truck drivers raised that they will lose their share in the transport business, while others said, it will add to vehicle congestion in the country. Opposition member Kuenga Tshering said green tax should be imposed to all kinds of vehicles.